Frequent Flier Madness – I WIN!!!! As many of you know, I travel a lot for work. In 2014 I was on approximately 60 flights. During those flights I followed the rules – I put my liquids in a baggie, I took my tissues out of my pockets before being screened, I followed directions provided by security, and the lot. I didn’t overtly buck the system or act like my personal rights were being trampled. I was, in a word, compliant. I accidentally left this in my backpack for several flights, forgetting it was there. Yes, it was NOT in my baggie as required. And yet, when I found it a few flights later, I realized that not ONE of the screeners had flagged it. Not once. So, then I thought, “Wow, I wonder how far I could go before someone flagged my bag?” And then, as the story goes, is when the challenge officially commenced. 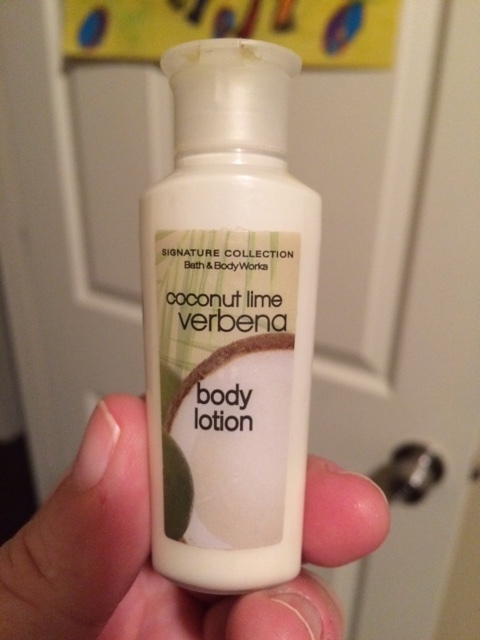 So, month after month, flight after flight, I left the lotion in my backpack and it was not flagged. I still had my baggie, I still removed my tissues, and yet with each flight I asked myself why I even bothered. And by about June it became this huge competition. I started keeping score and internally high fiving myself as if I was actually winning something! Flash forward to December – I was in Thomasville sharing with my co-workers my 2014 travel challenge, as I had not been flagged once and I knew I was just one flight away from a perfect season. Yes, I said season. And then, superstitious as I am in such situations, I thought for sure I had just jinxed myself by my cocky talk. I knocked on wood, said I should stop talking until my year’s travel was over, and hoped for the best. Sigh. So close Gina, so close……. And then she handed me my bag. My bag, in my hand, lotion bottle intact. Water tossed. Followed by a smile and “have a nice day”. Oh, and Tiffany, thanks for the lotion!